The regulation of temperature is a common operation throughout many facets of modern life. 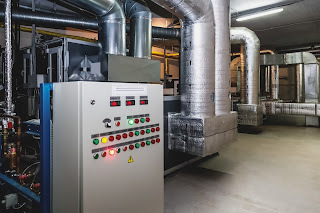 Environmental control in commercial, industrial, and institutional buildings, even residential spaces, uses the regulation of temperature as the primary measure of successful operation. There are also countless applications for the control of temperature found throughout manufacturing, processing, and research. Everywhere that temperature needs to be regulated, a device or method is needed that will control the delivery of a heating or cooling means. For industrial process applications, the temperature control function is found in two basic forms. It can reside as an operational feature within a programmable logic controller or other centralized process control device or system. Another form is a standalone process temperature controller, with self-contained input, output, processing, and user interface. Depending upon the needs of the application, one may have an advantage over the other. The evolution of both forms, integrated and standalone, has resulted in each offering consistently greater levels of functionality. There are two basic means of temperature control, regardless of the actual device used. Open loop control delivers a predetermined amount of output action without regard to the process condition. Its simplicity makes open loop control economical. Best applications for this type of control action are processes that are well understood and that can tolerate a potentially wide variation in temperature. A change in the process condition will not be detected, or responded to, by open loop control. The second temperature control method, and the one most employed for industrial process control, is closed loop. Closed loop control relies on an input that represents the process condition, an algorithm or internal mechanical means to produce an output action related to the process condition, and some type of output device that delivers the output action. Closed loop controllers require less process knowledge on the part of the operator than open loop to regulate temperature. The controllers rely on the internal processing and comparison of input (process temperature) to a setpoint value. The difference between the two is the deviation or error. Generally, a greater error will produce a greater change in the output of the controller, delivering more heating or cooling to the process and driving the process temperature toward the setpoint. A standalone temperature controller can fulfill multiple functions. In addition to controlling the target process temperature, controllers can be configured with data logging, alarm outputs, programmed changes to setpoints, auxiliary outputs for on/off functions, and a detailed HMI to provide data entry or a display of the process condition. Locating the controller near the process can be useful when technicians or operators need to monitor the process or effect a change in the controller setpoint. Local controllers can be connected via wired or wireless communications to other monitoring and control devices. Wireless communications are easily accomplished using Analynk's transmitters and receivers to cover distances from inches to miles. The current product offering for standalone closed loop temperature controllers ranges from very simple on/off regulators to highly developed products with multiple inputs and outputs, as well as many auxiliary functions and communications. The range of product features almost assures a unit is available for every application. Evaluating the staggering range of products available and producing a good match between process requirements and product capabilities can be facilitated by reaching out to a process control products specialist. Combine your own process knowledge and experience with their product application expertise to develop effective solution options. Analynk Wireless has added again to its line of wireless access point enclosures for hazardous industrial locations. The access point enclosures are specifically targeted and designed to house specific wireless access points from a range of manufacturers, facilitating easy installation. Every model is provided with UL listed explosion proof antennas, a mounting bracket designed for the access point equipment, and RF cables to make the antenna connections. Enclosures have penetrations specifically located to accommodate the specified access point. Models are included to house a range of units from Symbol, Cisco, Meru, Aruba, HP, and Motorola, with more models added regularly to accommodate additional wireless access points. The most recent addition is the model AP621 which accomodates the Aruba AP-214 dual band access point. Analynk Wireless specializes in industrial wireless communications. Your wireless communication challenges are welcome at Analynk, so make contact and share your requirements. Combining your process expertise with Analynk's product specialization will produce an effective solution. The datasheet for the new model is provided below. You can see all the models and their companion access points on the Analynk site. Industrial process control applications can be associated with some very stringent and challenging performance requirements for the physical equipment and components that are part of the process chain. In fluid based operations, the control and shutoff valves can be a significant impact point of extreme fluid conditions, requiring careful design and selection consideration to assure proper performance and safety levels are predictably maintained. Industrial valves that are intended for application at the extremes are generally referred to as severe service valves. While there are plenty of published and accepted standards for industrial valves, one does not exist to precisely define a severe service valve. There is, however, some movement toward the development of severe service standards in some industry segments. 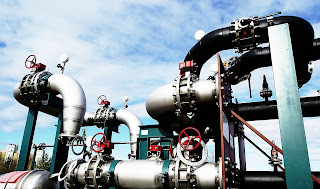 Certainly, any of these criteria might be found in an application serviceable by a general purpose valve, but their presence should be an indicator that a closer assessment of the fluid conditions and commensurate valve requirements is in order. The key element for a process stakeholder is to recognize when conditions are in evidence that might overrun the capabilities of a general purpose valve, leading to premature failure in control performance or catastrophic failure that produces an unsafe condition. Once the possibility of a severe service condition is identified, a careful analysis of the possible operating conditions will reveal the performance requirements for the valve. There are numerous manufacturers of severe service valves, each seeming to concentrate on a particular niche. You can always get more information, or discuss your special requirements, with a valve specialist. They have access to technical resources that can help with selecting the right valve configuration to meet your severe service applications. 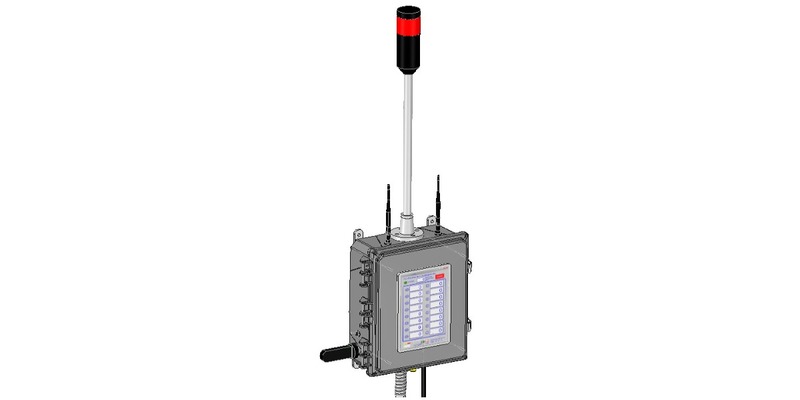 Analynk Wireless designs and manufactures equipment that establishes wireless connections among process measurement and control devices. Fire Facilities designs and manufactures live firefighting training towers and buildings, referred to as burn buildings. Firefighters train in these structures honing their personal skills and developing team strategies for combating fires under live burn conditions. 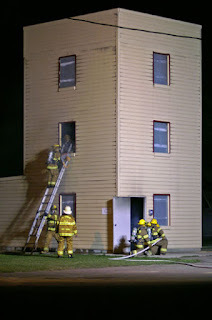 The training, because of the live fire in the structure, can be dangerous. Procedures and equipment are in place to minimize the risk posed to the training professionals. Analynk Wireless designed and manufactures part of the safety and monitoring system for the Fire Facilities training structures. The system is suitable for worldwide use, as are the training structures. Sixteen temperature monitoring locations are established in the structure and monitored using the pyrometer developed by Analynk. The monitoring station provides alarm notification if the temperature in any of the monitored zones exceeds the level at which trainees can safely enter the area. The Fire Facilities Pyrometer is another example of Analynk's capabilities in designing and building engineered products for specific applications. Share your process control product development challenges with the experienced professionals at Analynk, combining your concept with their design and engineering expertise to develop top flight product solutions.